It's Autumn here, so why not Fall in love with some cosy book recommendations! For this swap, you will have one (1) partner and you'll send one (1) postcard to them. 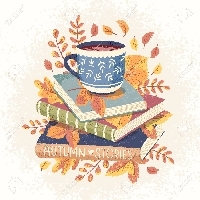 On the postcard recommend two or three books (they can be in any language) that are Autumn/Fall-Themed, or make you feel cosy, or a book you love to curl up with, anything along those lines! Newbie Friendly. Open to swappers with a rating of 4.75 or higher! @counrtygirl has had several other profiles in this swap before with over 30 1s (that I'm aware of). I recommend removing her prior to assigning partners.